Instagram is a fun place to share contents. It is one of the best photo sharing application around backed by more than 1 billion monthly active users. It has its own uber-cool image filters, image editing tools as well as stickers and emojis to make your uploaded images looks appealing and enticing. But when it comes to adding music to videos, you need to depend elsewhere as Instagram is yet to have that feature. However, you must have wondered how creators make cool nicely edited videos that have catchy background music in Instagram. You must have also heard about how Instagram TV making waves in and around the internet and how vertical video is going to be the ‘new thing’. When it comes to Instagram videos, you know nothing is better than pouring your newly made video some love by giving it some trendy and funky music. In this simple guide, we show you very easy steps to add music to Instagram videos. This simple guide will help you bag more double taps for your videos and people are more likely to share it with their friends and family. Here we go!!! 1. First, you need to login into Typito Video Editor. Typito is a very simple to use online video editor. You can edit as many videos in it. If you don’t have an account, you can sign up for free from here. 2. Type in your login credentials and then you will be directed to the “Home” screen where all your projects will be arranged accordingly. You can select an existing project for editing or create a new one by clicking the “ Create” tab. 3. You can either go with an existing project or upload a new video from your computer. 4. After the video upload is successful, you are then presented with an online editing screen where you can edit your videos at full scale. 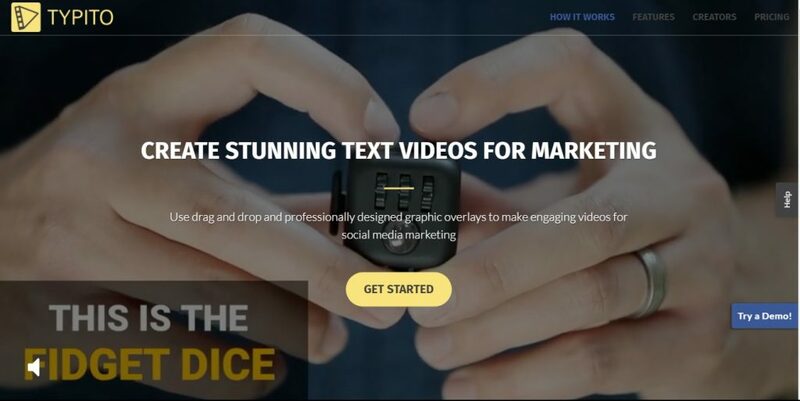 From cool fonts, text styles, pre-created brand layouts, music and images, there are a plethora of options you can choose from to make your videos engaging and worth sharing. 5. To add music to your videos, you need to select the “AUDIO” tab from the far left of the screen. In the “AUDIO” tab, you can select from a variety of sample background music. You can adjust the volume of the video, for both the background sound as well as the music. This feature is very useful when you create videos that come with a background music and dialogues. For example: If you are about to create a video for your food blog, you can add as well as control the volume of the sounds where your talk about the cooking methods and the ingredients used, as well as the background music that you choose to go throughout the entire video grabbing the attention of the video viewers. 6. After you have added your music, you can then adjust it according to your needs with the help of the timeline. You can individually control the volume of the background music as well as the music you select for your video. This will help you edit the entire clip to make it sync with the entire visuals and audio. 7. After you have edited your video, you can export it directly to your computer for a smooth upload in Instagram. Now you have successfully learned how to add music to Instagram Videos.